Which Pinterest accounts do you follow? I tend to follow accounts that fall within my interests. For example, I love to collect images of bookstores, bookshelves, and libraries, so I follow people who have similar boards. But I also like to follow other authors. I’ve also been thinking about Pinterest a lot lately because it’s been so long since I’ve written a post devoted to this search engine. In the beginning, I loved to escape to this network to build my boards and find eye-catching images. These days, I use Pinterest more seriously. I use it almost exclusively to pin images from my blog as well as the author quotes I post on Fridays. Pinterest is a powerful referral source so while you can just use it for fun, don’t forget that you should also use it to post images from your blog posts, create boards around the books you’ve published, and create boards on future books. I thought we could explore together how other authors and writing-related organizations use Pinterest by examining their boards below. It’s no surprise that author, blogger, and book designer Joel Friedlander’s boards focus primarily on images from his blog, and about book covers, the templates he sells, the books he’s written, and book production. His account receives 64,600 monthly viewers. Author, publishing consultant, and conference speaker Jane Friedman has thirteen boards. She pins images about getting published, book marketing, digital tools, and Amazon and the publishing industry. She has 3,000 followers and has 24,800 monthly viewers. Author K.M. Weiland created 39 boards on quotes, writer resources, and boards related to writing historical fiction. She has 7,000 followers and enjoys 318,4000 monthly viewers. Rachel Thompson is an author and marketer who writes about book marketing as well as her experience as a survivor of child sexual abuse. She started NaNoProMo to help authors who participate in NaNoWriMo market their books. She has boards on great blog posts, 30-day book marketing strategies, and PTSD. She has 6,000 followers and has 17,000 monthly viewers. Meg Waite Clayton is a New York Times bestselling novelist. Her boards tend to focus on her writing life. She has 109 followers and 9,400 monthly viewers. Roz Morris is also a writer. Her boards include places to write, Alliance of Indie Authors, and adorable covers. She has 854 followers. Author and founder of Author Marketing Experts, Penny Sansevieri’s account naturally focuses on book marketing, blogging and internet tips, writer inspiration, and dog love. She also has a board devoted to 52 Ways to Sell More Books, which is the title of one of her books. She enjoys 25,000 monthly viewers. Lisa Tener is a book writing coach and speaker. Her boards focus on gifts for writers, building an author’s platform, book proposal guides, and nonfiction writing. She has 2,300 monthly viewers. Susanne, who also goes by C.S. Lakin, is a prolific and successful writer, blogger, writing coach, and editor. She has 14 boards that include these topics: novel writing, writing prompts, and book marketing. She has 44 monthly viewers. Kimberley Grabas helps authors sell more books. She also developed the book launch toolkit for Joel Friedlander. 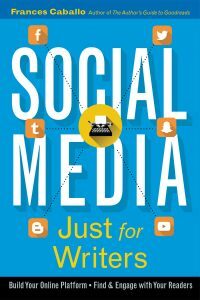 She has 89 boards including boards on a writer’s platform, book launch strategies, email list building, as well as boards on social media marketing. She has 6,000 followers and has 102,000 monthly viewers. Nina Amir is an author, nonfiction coach, and a high-performance coach. She started Write Nonfiction in November and has a board devoted to that topic. She also has a board on writing for change, and one titled Books I Think Are Worth Reading. She has 920 followers and 6,000 monthly viewers. Dave Chesson is an author and the public face of Kindlepreneur and its primary tool, KDP Rocket. He has boards on Facebook advertising, internet marketing social media, authors and readers, book editing, and blogging tips. He has 1,000 followers and 89,600 monthly viewers. Grammarly is an application that helps writers or all kinds make sure that what they publish is error-free. The entity is boards of grammar, punctuation, writing, spelling, and humor. It has 16,000 followers and 305,200 monthly viewers. Goodreads is a social media for readers and book recommendations. Its boards include “goodshelves,” book nooks, quotes we love, best books of the month, and libraries in art. Goodreads has 169,000 followers and 9.6 million monthly viewers. Reedsy is a marketplace for self-publishing. Here, authors work with freelance consultants vetted by Reedsy. These consultants can include book coaches, editors, and marketers. Reedsy’s boards include images from its blog posts, author profiles, and books from a variety of genres plus writing prompts. Reedsy has 28 boards, 747 followers and 290,100 monthly viewers. Book Riot says that it’s “dedicated to the idea that writing about books and reading should be just as diverse as books and readers are.” Its board topics include quizzes for book nerds, book and literary tattoos, shelf admiration, rad book art, and book memes. Book Riot has 68,000 followers and 5.2 million monthly viewers. Literary Hub claims to be the go-to website for literary culture. It has 23 boards and the topics of the include The Staff Shelf, The Last Bookstore; The Staff Shelf: Newtonville Books; Mother’s Day Reading List; and Tax Day Reading List. Literary Hub has 128 followers and 1,500 monthly viewers. Writer’s Digest publishes books, magazines and sponsors competitions and conferences. Its 20 boards including the following topics: writing tips, inspirational writing quotes, writing prompts, and free downloads on writing. It has 10,000 followers and has 257,600 monthly viewers. Library Journal is a publication for the library community. Its 69 boards include Library Inspiration, Library Humor, LibraryReads Authors, and the best books of different years. It has 3,000 followers and receives 19,800 monthly viewers. Be sure to check out my account, Frances Caballo. I have boards on Twitter, Pinterest, author quotes, favorite books, libraries, a writer’s life, and so much more. I have 111,800 monthly viewers. Morgan, I’m so glad you liked the post and that you followed the authors I profiled. They have wonderful pinboards.